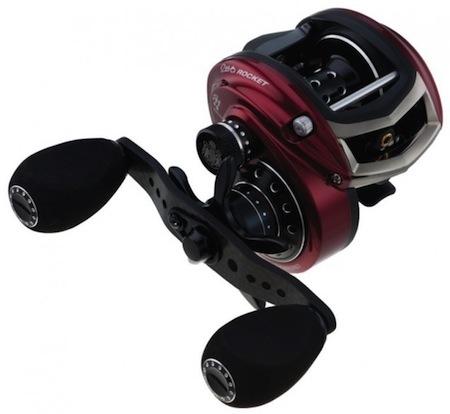 The Abu Garcia Revo Rocket is the reel for you if you have a need for speed. Finally there is a reel out there that will not destroy your arms when you try to burn lures all day long. This reel packs a punch and has some really nice features like 10 HPCR stainless bearings, a lightning fast 9.0:1 retrieve, the awesome, legendary Carbon Matrix drag system, and a bent carbon handle just to name a few. Get all the information you need directly at this Abu Garcia Link.